I’m privileged to get to meet many parents each year who proudly bring their snuggly-fresh newborns into the Pregnancy Center where I work. As we talk, the conversation naturally turns to sleep habits – and baby sleep tips. “How’s she sleeping so far?” I’ll ask. “Oh, GREAT. She’s slept through the night and all day since she was born on Thursday. This isn’t nearly as bad as we thought it would be!” Is the response I’ve often heard. Now, ask that question two weeks later, or 2 months later and the response is usually dramatically different! It’s no secret to anyone who has read my previous posts that I struggled like CRAZY with each of our four babies who never slept through the night until after age one (at least). The truth is that baby sleep CAN be extremely unpredictable. But what I really wish I had known was that there was more practical help available than the pediatrician’s well-meaning tip to “put them to sleep while they’re drowsy.” That was pretty much the extent of any professional advice I received. 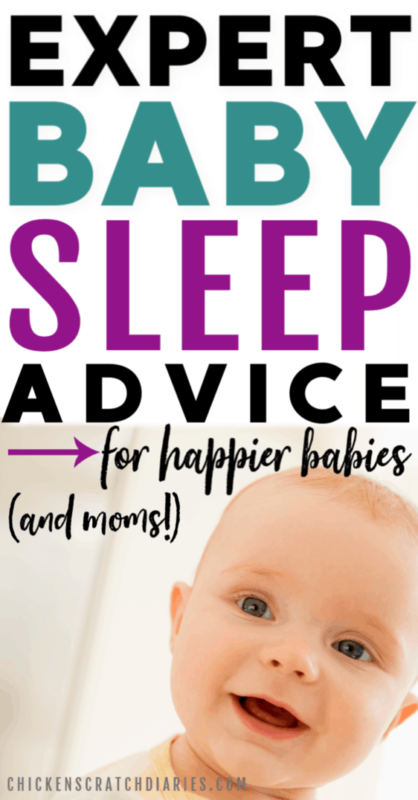 I wish I had known that there was specialized help from real experts who could have really made a difference in my babies’ sleep habits – and given me my sanity back for those four long years! I think most parents, to an extent, accept the belief that babies who don’t sleep at night are the norm. If we try a few methods that fail, we assume we have one of those “hard cases” and we cope the best we can on 2-4 hours of broken sleep. We love our babies, but we begin to dread night time. If this sounds all too familiar to you, then keep reading! It’s very possible that with the right help, YOU don’t have to slog through a sleepless year (or more) like I did. 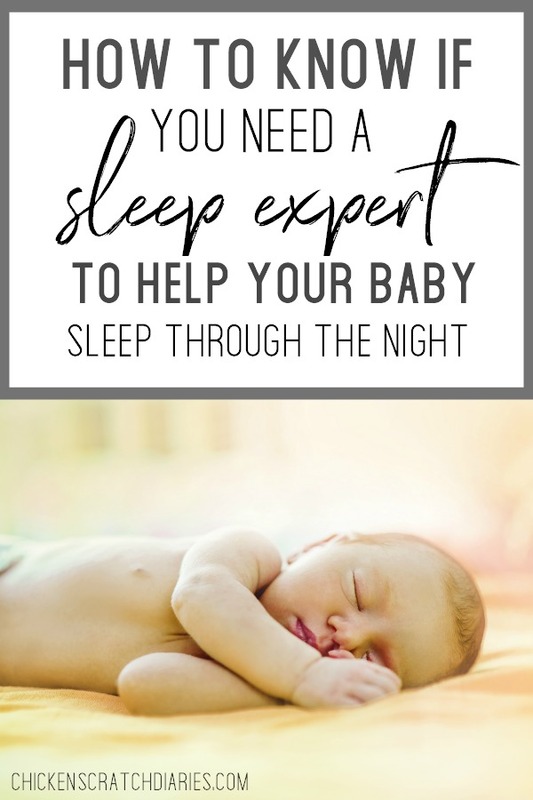 I had a virtual chat with a baby sleep expert to find out exactly what a baby sleep program could provide to families who are desperate for sleep – for their babies as well as the whole family. 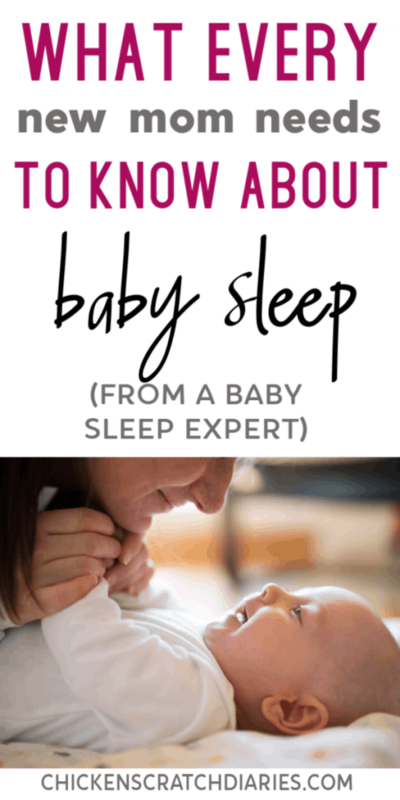 Here’s what I learned about getting personalized baby sleep support – and a few tips I wish I had known when I really needed it! #1. Can you tell us about your background and how Baby Sleep Made Simple came about? I’m a pediatric nurse and lactation consultant. For the last decade I’ve helped parents learn to take care of their new babies. Before I became a mom 4 years ago, I thought I knew quite a lot about babies. ? But I soon realized I had no idea how much sleep deprivation would wreak havoc on every area of my life. Getting up throughout the night with my baby drained my energy. I spent every day feeling overwhelmed and irritable. I found it hard to look forward to each new day and I was arguing with my husband a lot. 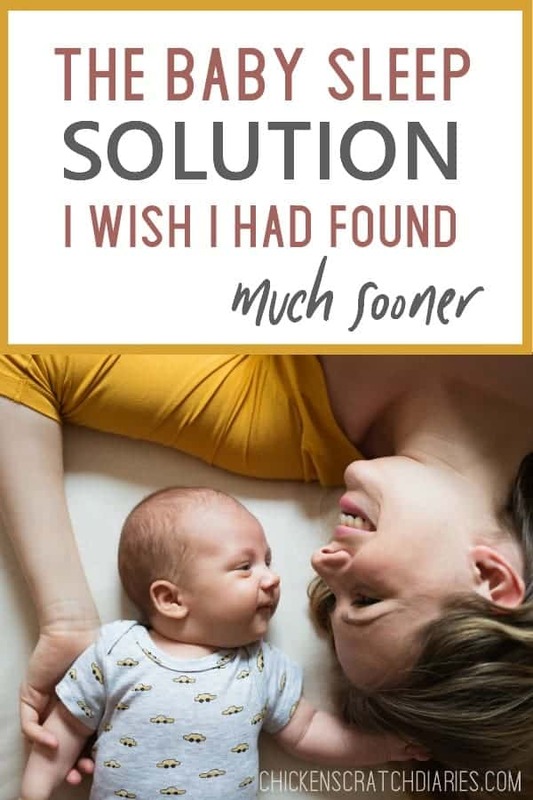 Luckily, I knew that lack of sleep was the culprit and that if I could get my baby sleeping better, then our whole family’s situation would improve. I needed quick results because I was at the end of my rope. But my daughter is sensitive, so cry-it-out wasn’t a good option for her. I sat down with my husband and we came up with the perfect plan for our baby. We wanted to help her sleep well in a way that worked with her temperament. So we combined specific elements from different approaches, creating a customized sleep training plan just for her. And it worked! Our whole family was sleeping through the night in less than one week. He was right. And that’s how Baby Sleep Made Simple was born! #2. How does a new parent evaluate whether their baby is going through a “phase” or whether they might need a sleep expert? I believe it’s time to reach out to a sleep expert when the effects of broken sleep are spilling into other areas of your life. Many moms get in touch with me because they have no energy to play with their kids, to make healthy meals, to exercise or to meet up with friends. Often, they’re arguing with their spouse (and sleeping separately). Sleep deprivation makes postpartum anxiety and depression worse. So if a mom’s emotional health is really suffering, one of the easiest things we can do is get her a good night’s sleep. We get her baby sleeping well so she can sleep well too. If a baby’s sleep problems are recent (less than one week) then it could be a phase and you don’t have to rush and call an expert right away. Yes, some babies are “easy sleepers” and others have a tough time relaxing and settling down for restful sleep. In my sleep programs, parents take a baby temperament quiz. Then they pick a sleep training approach that’s best suited for their child’s unique personality. I would never recommend just one method for all kids! The approach that works best for an energetic, spirited or strong-willed child is quite different than the approach that’s best suited for a sensitive or affectionate child. I’ve helped lots of “poor sleepers” learn to sleep through the night. It’s just a matter of matching their age and temperament to the right method. #4. Do the baby sleep programs that you offer support parents with varying parenting styles? Yes. There are 3 main factors that we consider when deciding on the right sleep training approach- your baby’s temperament and age, and your parenting style. Parents shouldn’t be forced to go with a method they’re not comfortable with. Parents need to be dedicated and consistent and I find that when they are happy with the sleep training method they’ve chosen, they get great results. #5. Does your program help parents address problems that might be complicating their baby’s sleep such as reflux or feeding issues? As a pediatric nurse and lactation consultant, I prioritize baby’s safety and health above all. When deciding to reduce or wean off night feeds, we always consider baby’s overall health and growth. We have babies in the program with reflux and we’re able to make accommodations that still enable them to sleep well. I recommend all parents speak with their baby’s doctor and get the “thumbs up” before beginning any sleep training program, though. #6. The 21 Days to Peace & Quiet program has generated some amazing reviews. What does it take on the part of the parent to see similar results? Just like with all aspects of parenting, consistency is key. I find that parents have the most success when they agree on the need for sleep training and are able to stay committed and consistent while teaching their baby new sleep habits. The process typically takes 1-3 weeks to get great results. In order for your baby to sleep well long-term, parents need to keep a consistent sleep routine. This usually isn’t a problem though. Most parents are willing to do anything to keep their baby sleeping through the night! #7. What is the biggest piece of advice you would give to new moms who are struggling with their baby’s sleep habits? You don’t have to make a lot of changes at once. That can be too overwhelming. Instead, my approach is to take one small step each day to improve your baby’s sleep. I have a free Exhausted Mom’s Survival Kit that walks you through the first steps of getting your baby sleeping well. It has short videos and simple guides. I like keeping things simple! I recommend all parents start here. The steps of the survival kit help babies fall asleep easily at bedtime and sleep longer stretches overnight. You can find more information on Jilly’s sleep programs here. And check out her FREE Exhausted Mom’s Survival Kit here which walks you through the first steps of teaching your baby to sleep well.